Sumo squat is a variation of the classic squat exercise that will help put a little more emphasis on the inner thighs while still allowing you to build maximum power and strength. 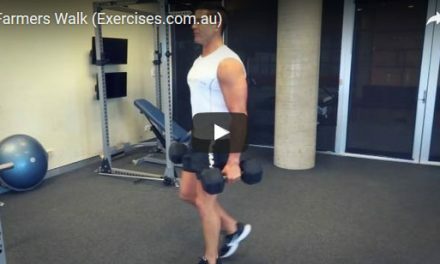 This exercise is often easier to do for those who may suffer from knee pain, so a good exercise to keep in mind if you’re prone to this injury. Position yourself under a barbell, placing it across your back with hands on either side. Position the feet so they are wider than hip width apart, feet turned out. Slowly bend the knees as you lower yourself until knees are bent to 90 degrees or slightly further and then press up to complete the rep. 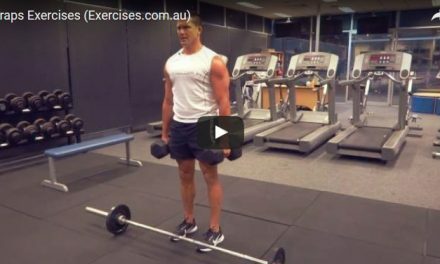 While doing this exercise, focus on keeping the chest open and directly above the knees. This will allow you to ‘sit back’ in the exercise a bit more, making it easier to bend down into the full squat position.